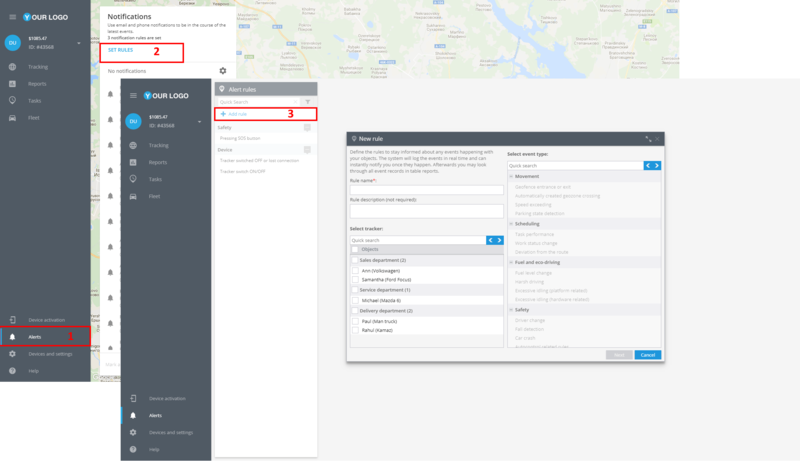 This feature is perfectly suitable for companies with large number of mobile employees. 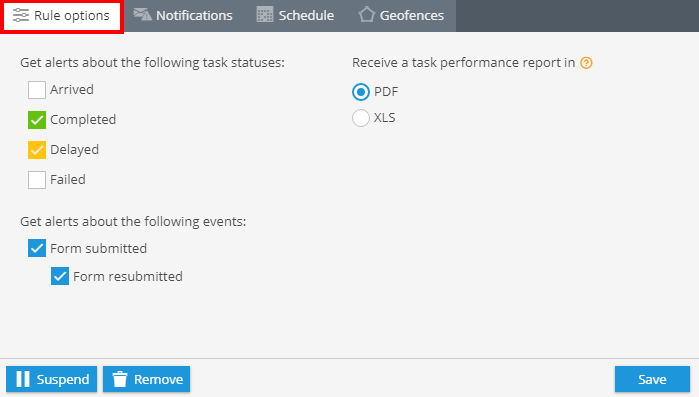 By setting up the rule, you can control a process of task performance as well as receive notifications about submitted forms. 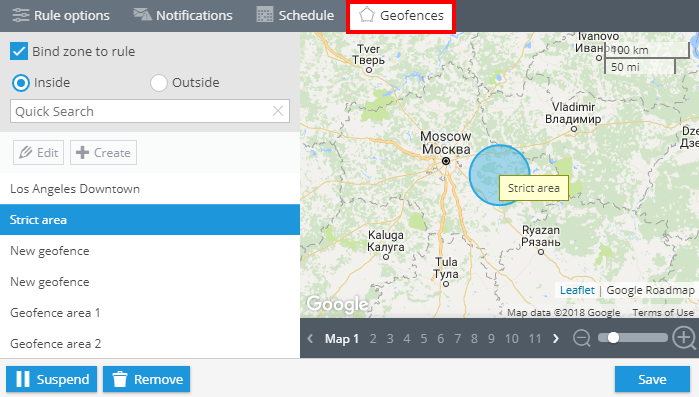 The system will inform you about the event by sms, email, or with push-notification to the “X-GPS Monitor” mobile app. 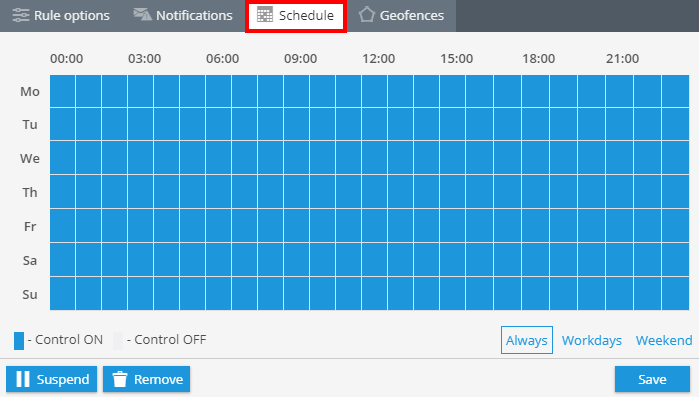 To add a new rule, open the “Alerts” app in the bottom left corner and proceed with a SET RULES option. After that click on the “Add rule” button. Insert the following data in the opened window: a rule name and its description. 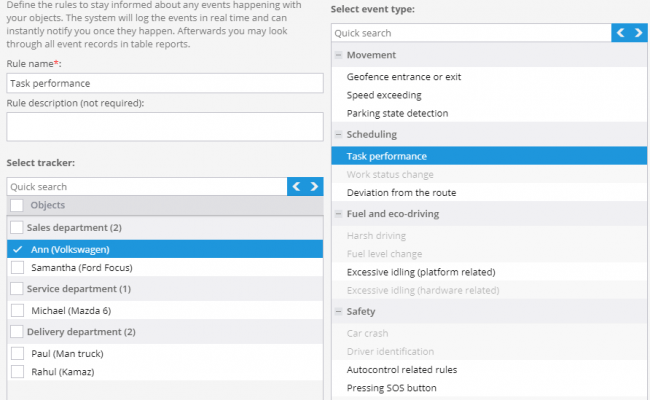 Then, choose the needed trackers and click on the “Task performance” event type. Task status changes. Just tick the task statuses you want to be informed about. For ex., you can receive notifications on a task completion by ticking “Completed” and ”Delayed” points. Form submission. You’ll receive email or SMS messages containing a download link to the received form. It’s also possible to choose the desired form format: pdf or xls. 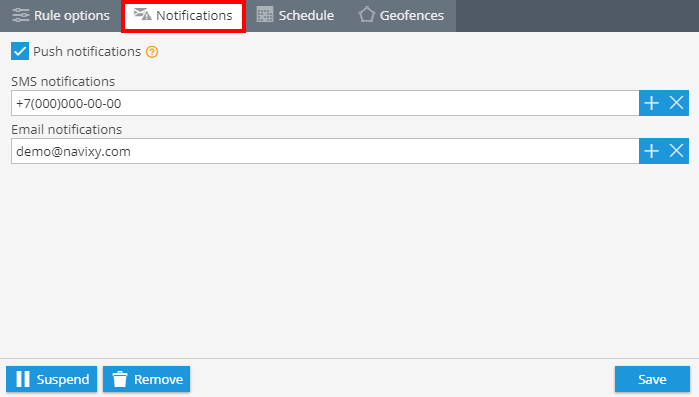 Shift to the notifications tab and choose the notification method.